Lat week, our friend’s mom offered us her rental house in Palm Springs for a couple of days because she couldn’t use it the whole time she had paid for. It was amazing and just happened to fall on our anniversary! 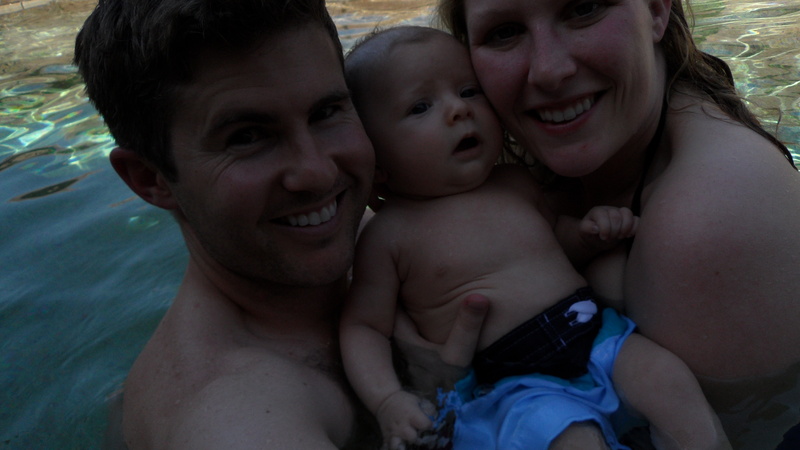 Liam took his first swim and I put on a bathing suit at 8 weeks postpartum so I could join in on the fun. That’s love. The sunglasses and hat I bought him were a little big… but the rash guard was almost too small to fit over his huge head! I never appreciated my husband’s cooking skills as much as I should have, but man, he’s good. Thank goodness, too, because I think I’ve been able to cook one meal since Liam was born! 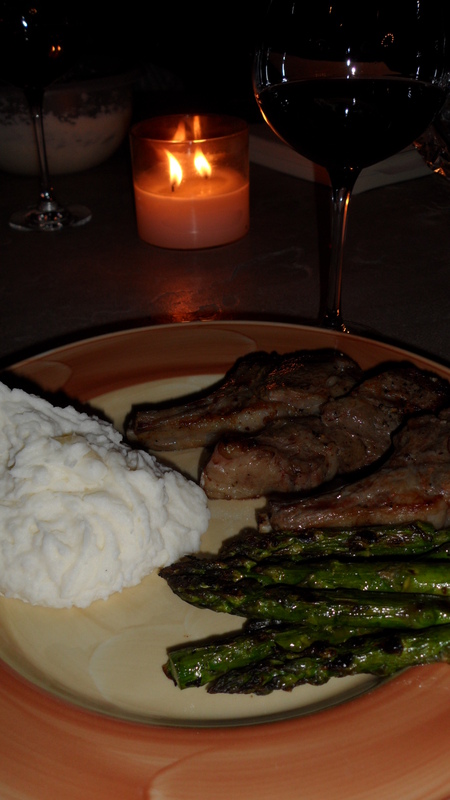 For our anniversary dinner, we had lamb with mashed potatoes and asparagus. Oh, and red wine… yummm. We came home on Friday (after a second trip to the outlets – the sales were too good), did some laundry, and left again on Saturday morning for Fresno. After getting settled at the hotel, we headed to my aunt’s house and this is what happened right when we walked in the door. Who doesn’t love a new baby?? That night we went to my other aunt’s house for my cousin’s birthday party and we were overwhelmed with how many people were there. My mom is one of six kids and everyone (now) has a spouse and all but one of those couples has kids. 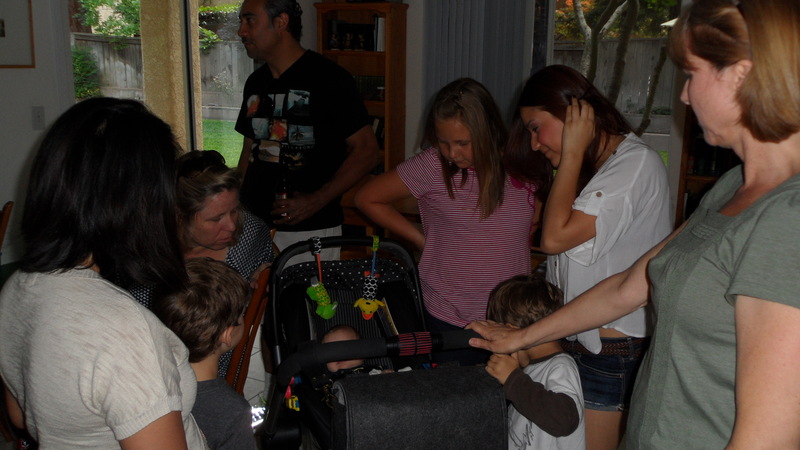 There are 13 cousins and Liam, so it’s crazy when everyone gets together! The next day we celebrated my uncle’s marriage (he got married in another country a couple years ago and this was the first time we all met his wife). My mom has the whole pacifier jiggle down. 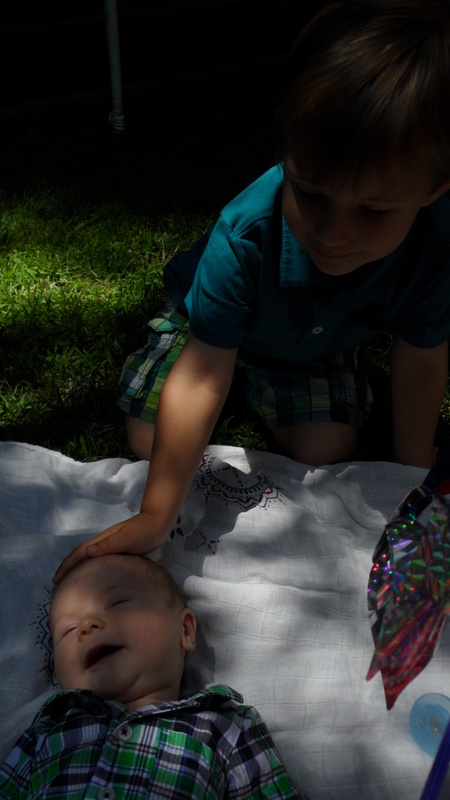 Liam’s second cousin being so gentle. He is obsessed and calls him baby Lamb. I die! 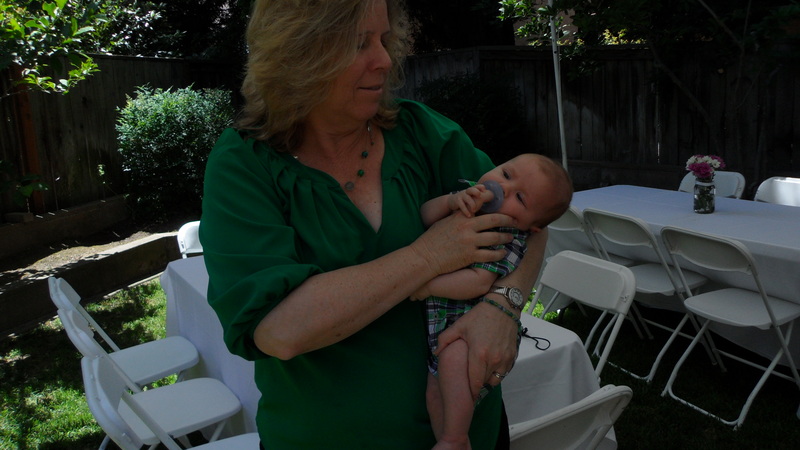 Liam’s new great aunt! She loves babies, so I handed him off to her a few times during our visit. Four generations! 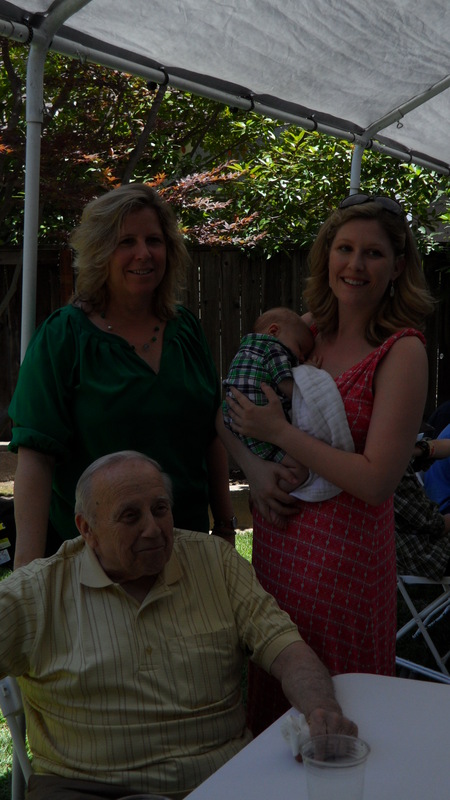 My grandpa, my mom, me, and Liam. So cool. 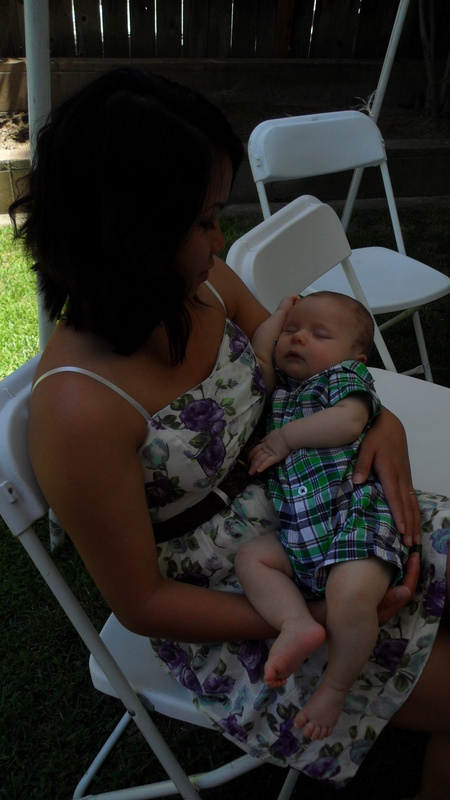 We really lucked out and Liam slept the entire way home from Fresno. 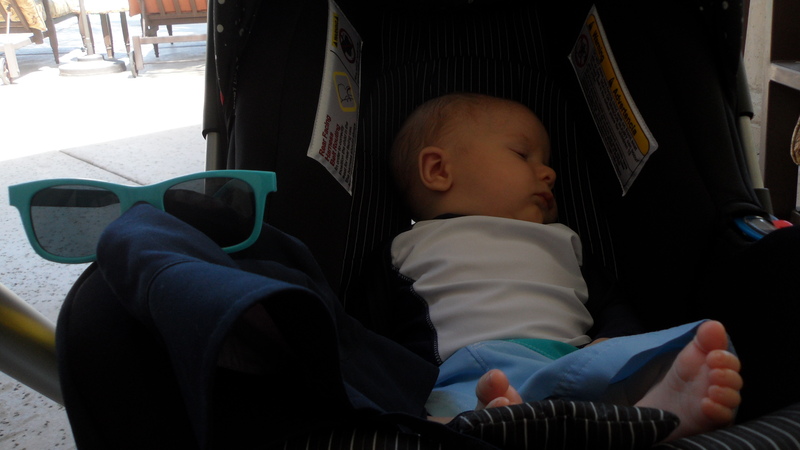 I have a feeling we won’t be so lucky on road trips once he’s a little older, but I’m thankful we were able to get out of town because we needed a little vacation! ← Two months with Liam! Oh that is so precious.. he is adorable.. and your husband and his cooking skills – I am envious.. my husband can make an egg and that is it. I’ve seen this and luckily it doesn’t apply to us – we bought our after the specified dates – but thanks!